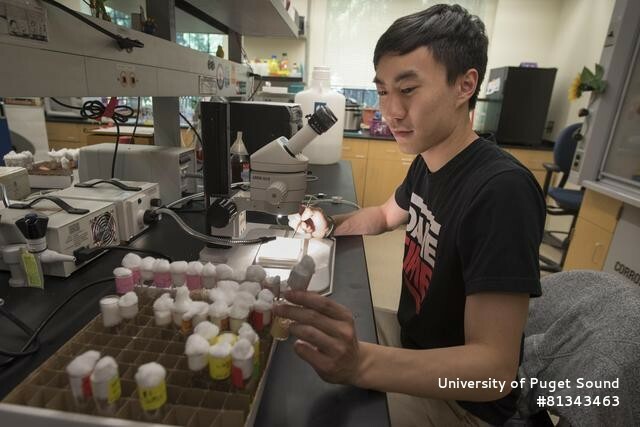 The University of Puget Sound offers many opportunities for students to engage in research and travel, whether in the natural sciences, the social sciences, or the arts and humanities. Many major programs of study require or provide the option for a research-based thesis in the senior year. Consider applying for a Puget Sound summer research grant or an external undergraduate summer research program. This program features a week-long internship at a rural health clinic. Open to students with four semester of college level Spanish and a background in the pre-med or the allied health profession. Call Yarel Marshall at 212.822.2757 or visit the website at Dominican Republic. This program provides a combination of classroom discussion and practical, hands-on experience in public health and development issues. Call Fay Ju at 212.822.2756 for details or visit the website at www.ciee.org. Offers semester and summer-long Environmental Field Studies Programs at the following locations: Caribbean/British West Indies, Australia, Pacific Northwest Canada, Baja, Mexico, Costa Rica, and Kenya. Contact 800.989.4435 for more information. The Brain Science Institute at RIKEN (Japan) offers a summer program to train advanced students interested in brain functions. Applicants can choose either a laboratory internship for two months or participate in an intensive 9-day lecture course, or both. Generous support towards travel and lodging expenses will be provided. Obtain applications through the Riken website. University of Glasgow offers a two week program in May consists of lectures, workshops and fieldwork at the Marine Biological Station, in Millport, Scotland, UK. This program is designed for senior undergraduates and is offered for credit. Call phone +44 (0) 1475 530581. Child Family Health International is a non-profit organization based in San Francisco, CA promoting primary care, integrative medicine and Spanish literacy among students studying health or pre-health curricula, through international health electives in Ecuador, India and Mexico. The Medical Student Exchange Program includes clinic rotations, academic lectures, cultural immersion & home stay, and rural health excursions. Elective opportunities could involve investigating the challenges of tropical medicine, exploring integrative medicine and rural community health education and issues. For more information call: 415.863.4900, send an email to students@cfhi.org, or visit their website.